As the market is flooding with new devices these days, some of you may see a good it as an apt time to switch from iOS to Android. But the first question that hits our mind is how to go from iPhone to Android without losing the iPhone’s contacts? Fortunately, we have some step-by-step handy solutions for you. In case you want to move a less number of contacts only, you can use the Share Contact option. Select the contact you wish to save. Swipe down and select the option, which allows you to either share it via e-mail or text. 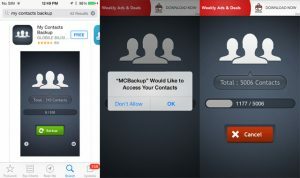 “My Contacts Backup” app is a useful app for this task on apple app store. Download and open the app on your iPhone. When the app (“MCBackup”) asks to access your contacts, tap OK >> Backup >> E-mail. 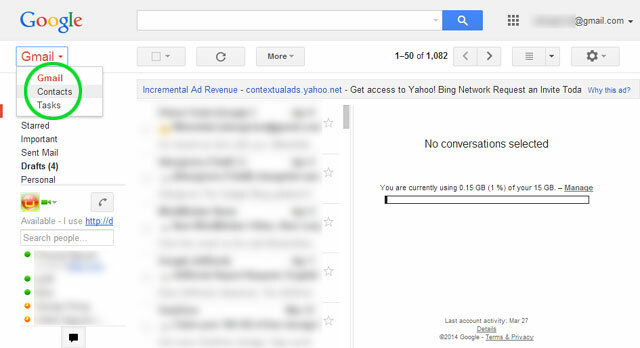 Now, attach the VCF file to an email and send it to your Gmail account. Open up the email from your Android device, download the VCF file and import your contacts to the phone. 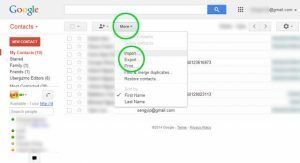 In case you are comfortable with Google apps/Google interface, there actually is a way to transfer your contacts via GMail. If you want to save the entire list, click the little gear button at the lower left and Select All. If your iPhone is running iOS 4.x and lower, then the rest methods are practically redundant, since apps are not compatible with that version of iOS and iCloud did not exist back then. I know, iTunes can cause frustration sometimes, but it’s the only way out in some occasions. It is as easy as the other methods, and it definitely gets the job done. Open the phone’s device summary page >> info tab. Mark “Sync Contacts With” and then select “Google Contacts”. Type your Google account’s username and password >> tap “apply”. 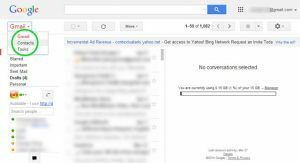 Make sure your Android device is connected to the particular GMail account. Previous articleWhat is MapQuest and how to use it?